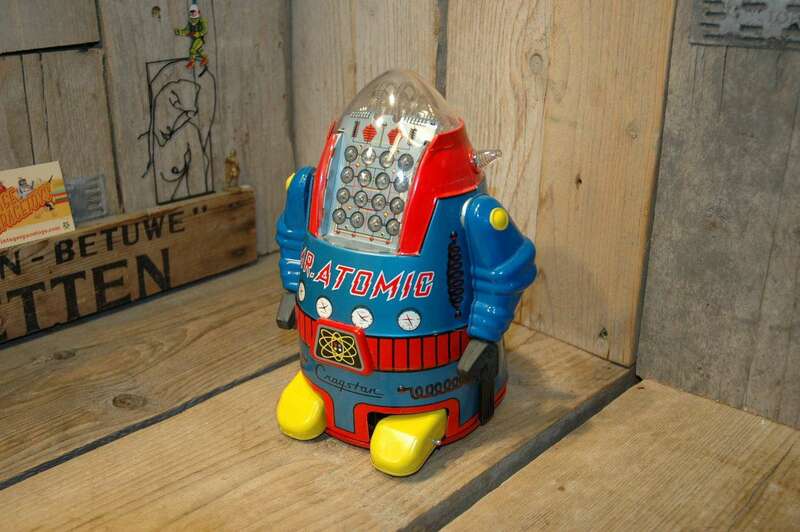 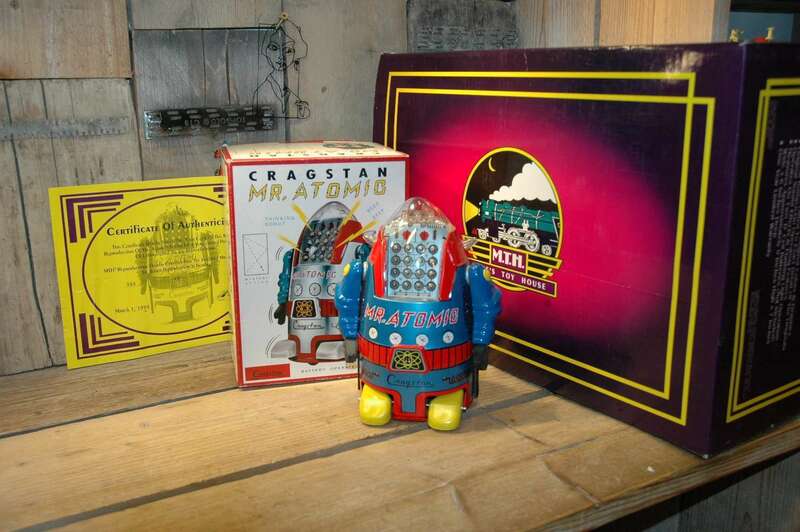 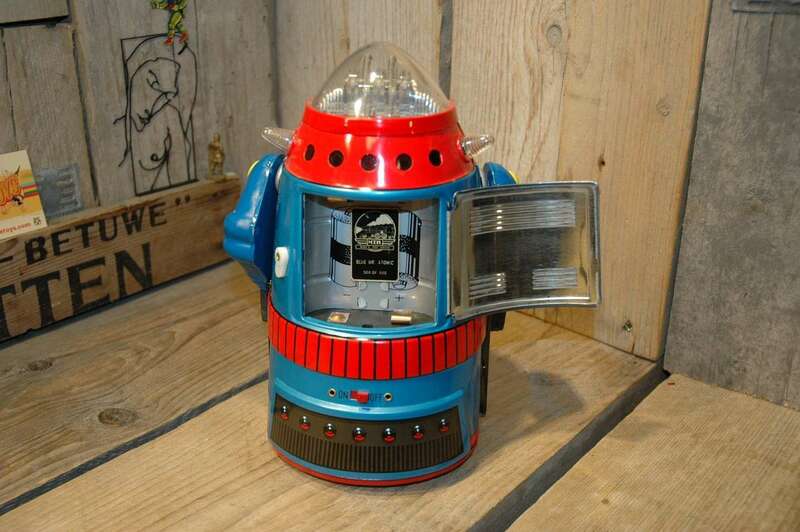 The original robot, Mr. Atomic, was made in the early sixties and came in 2 color variations: grey and blue. 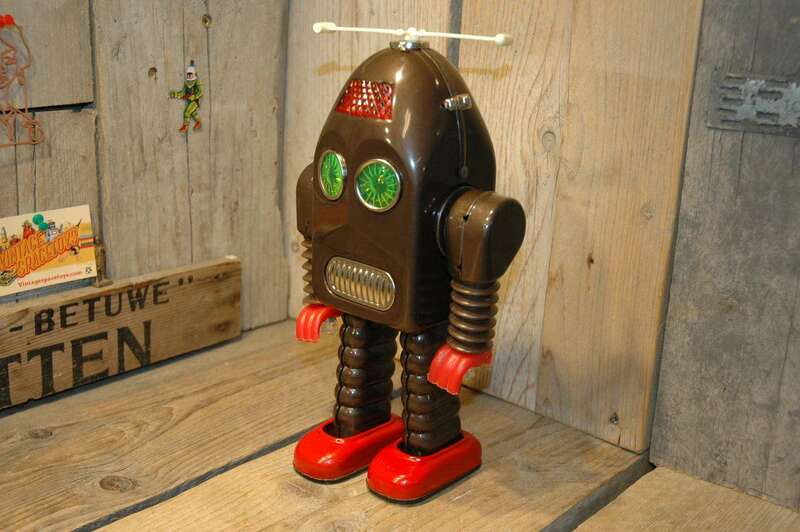 The robot was originally produced by Yonezawa in Japan. 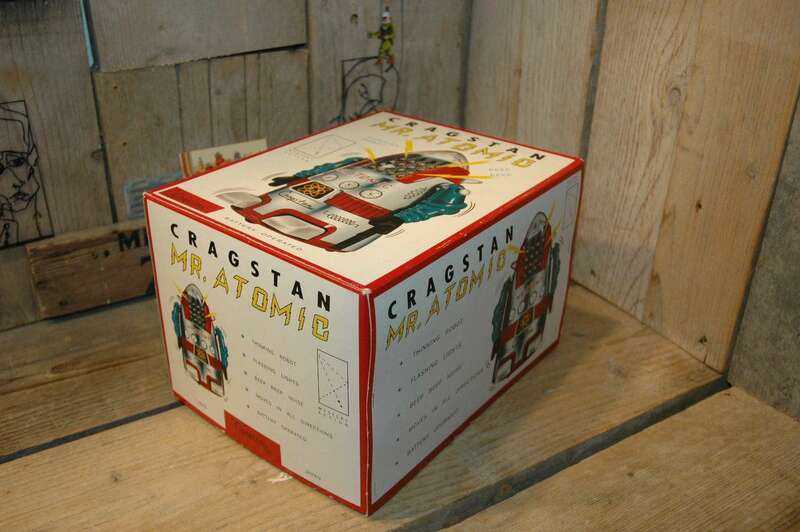 These days an original grey Mr. Atomic is a rare and hard to find robot, the blue one is almost impossible to find and is much more rare and scarce than the grey variation. 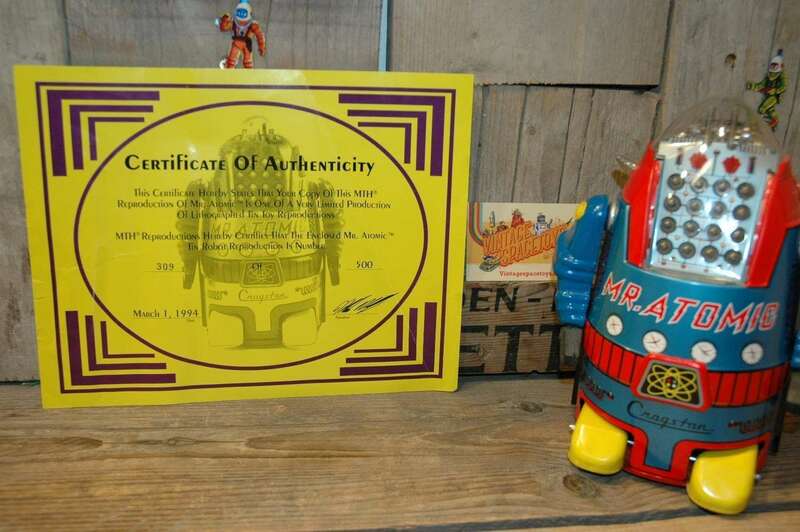 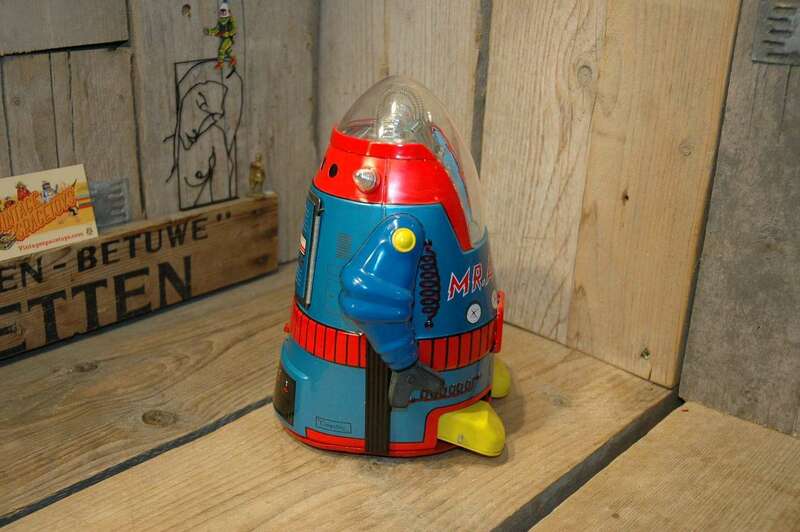 In the early nineties, an usa company called MTH ( Mikes Toy House ) reproduced this robot. 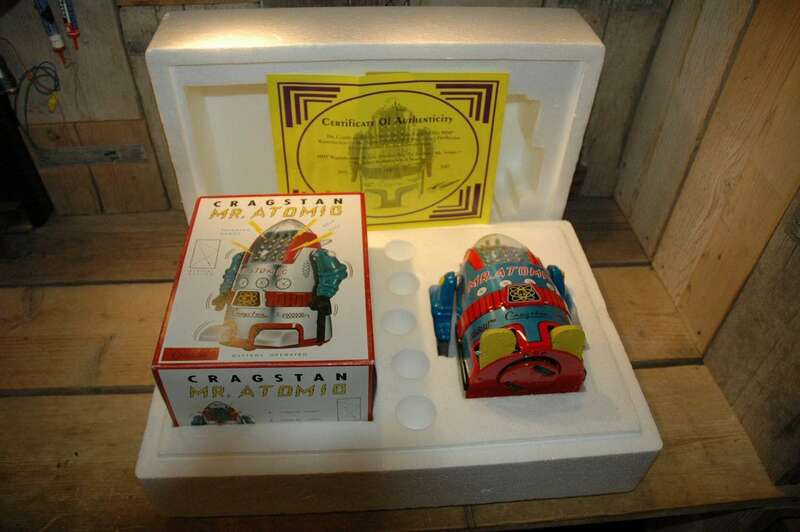 500 examples in grey and 500 in blue, all individually numbered. 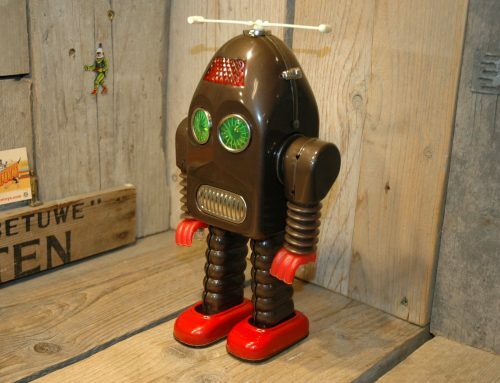 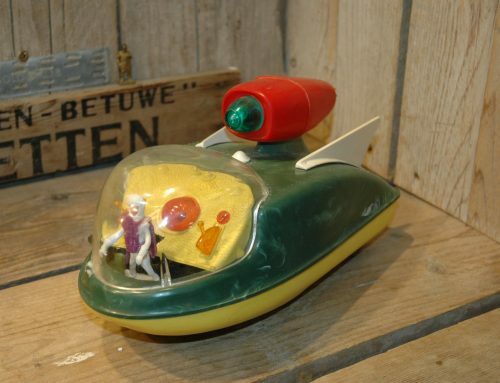 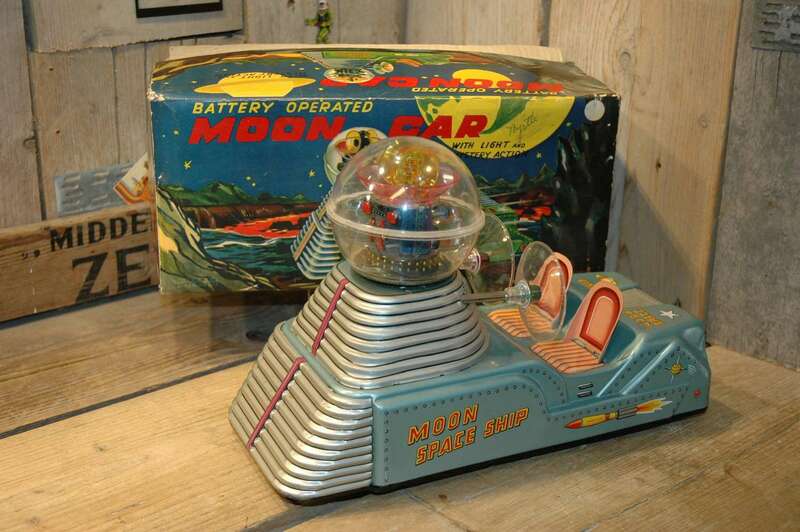 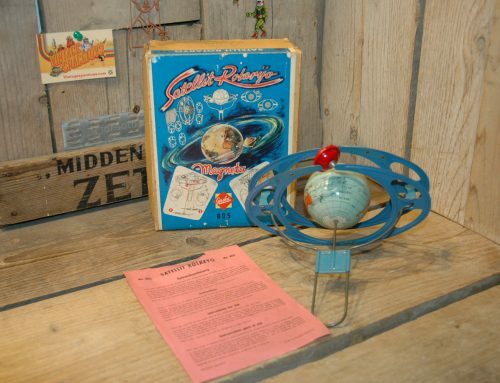 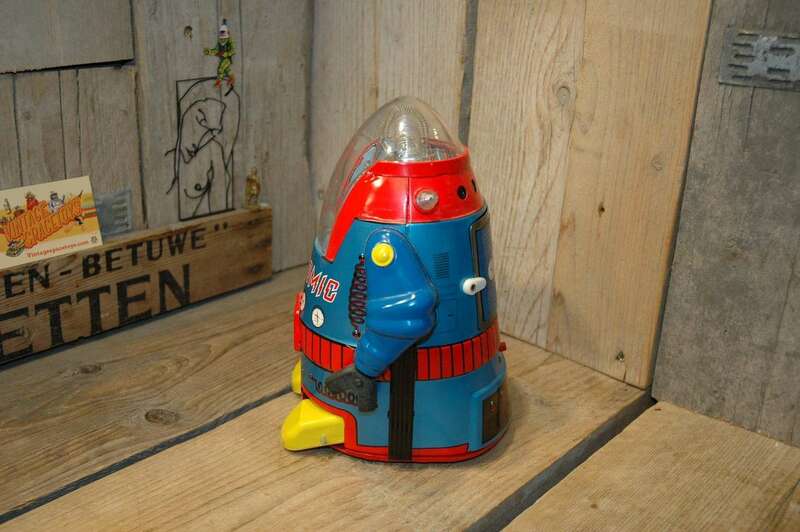 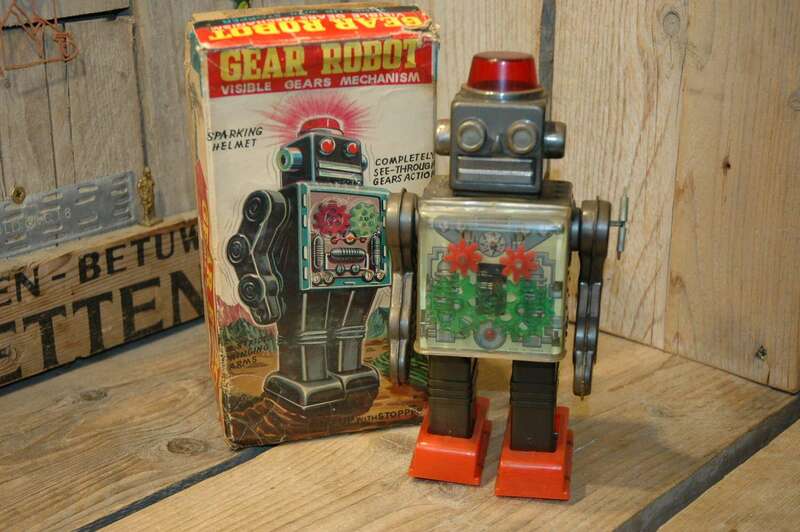 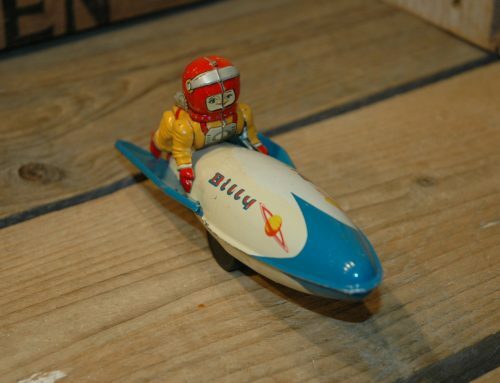 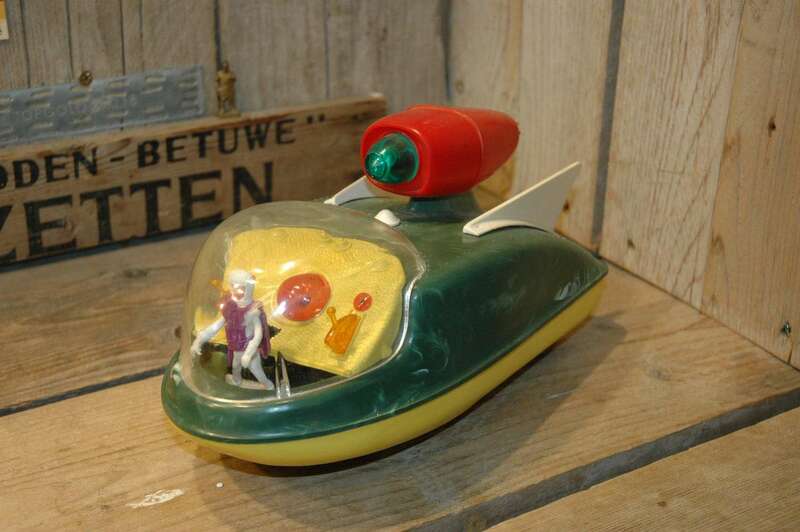 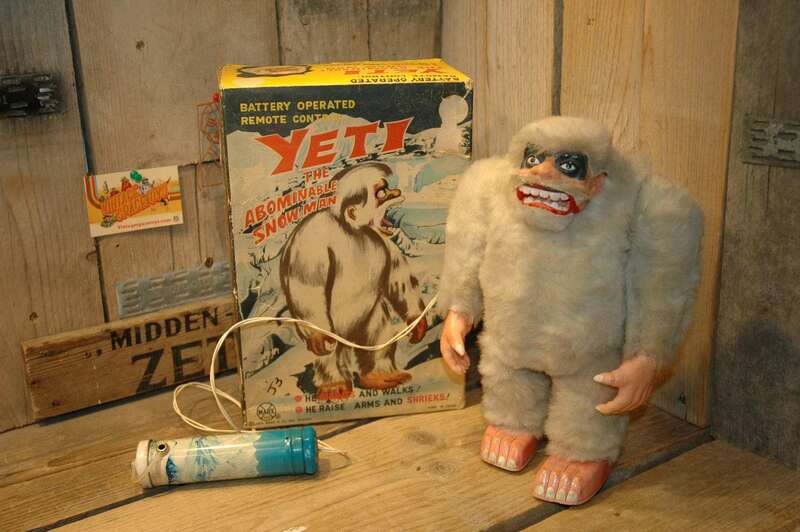 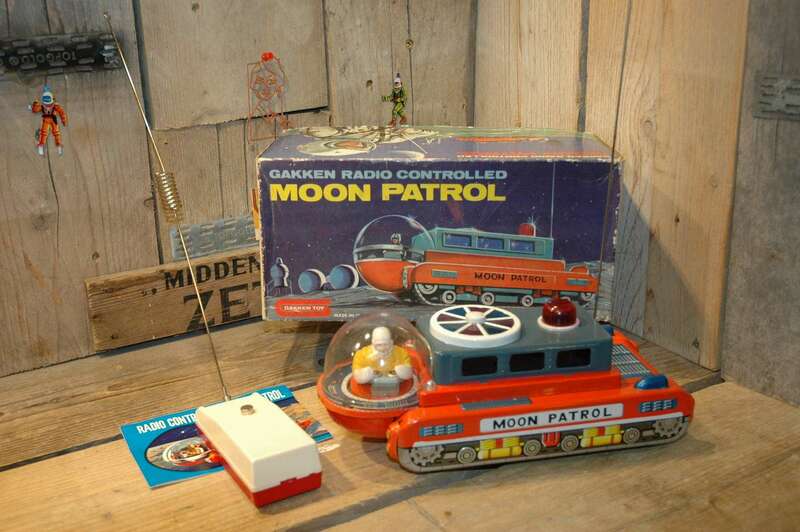 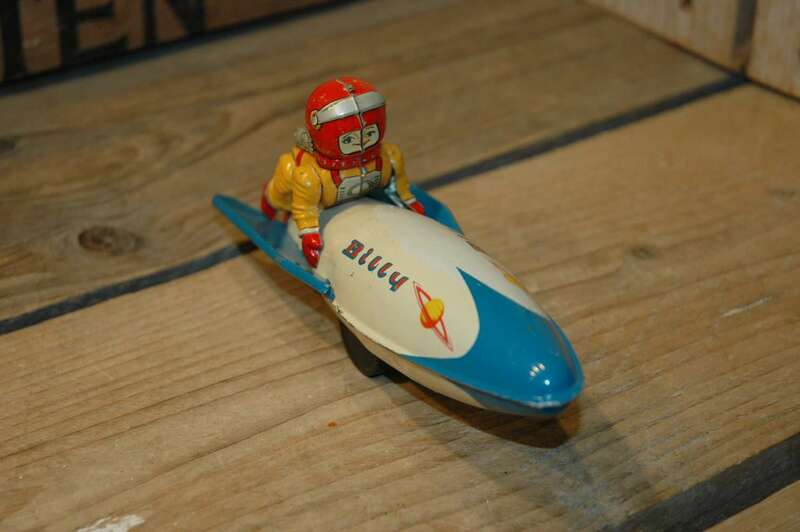 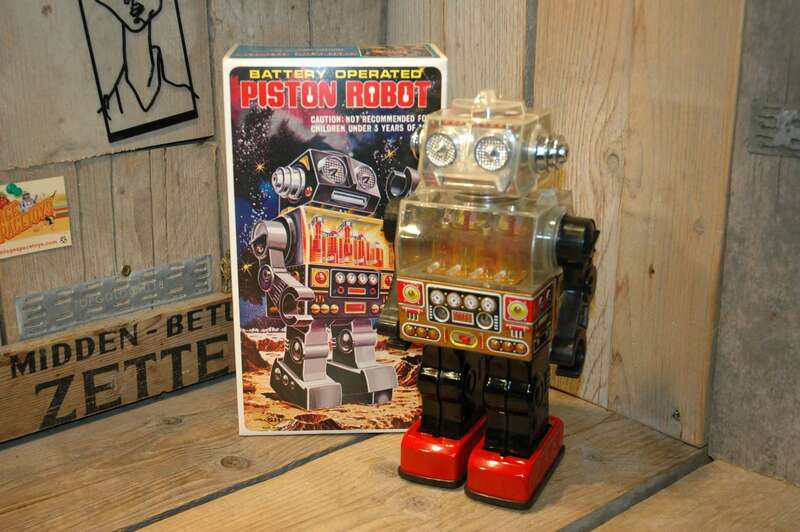 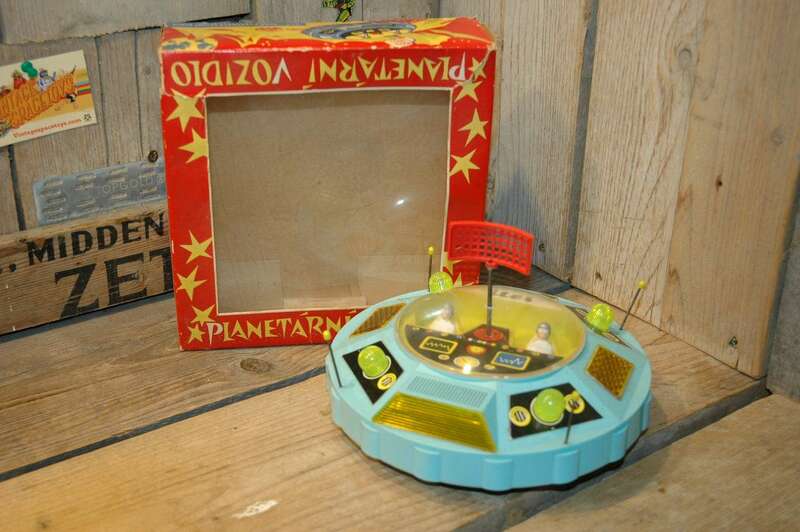 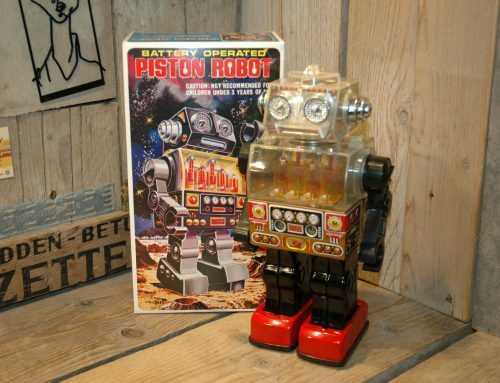 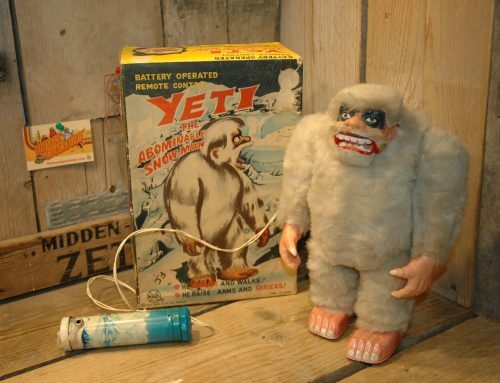 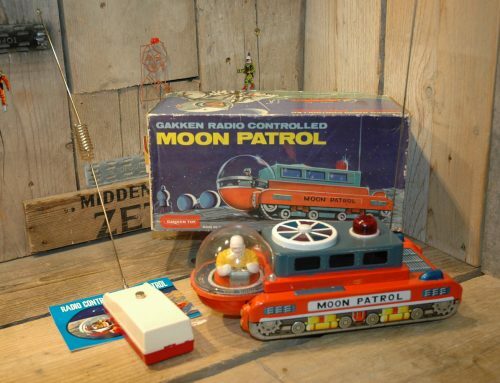 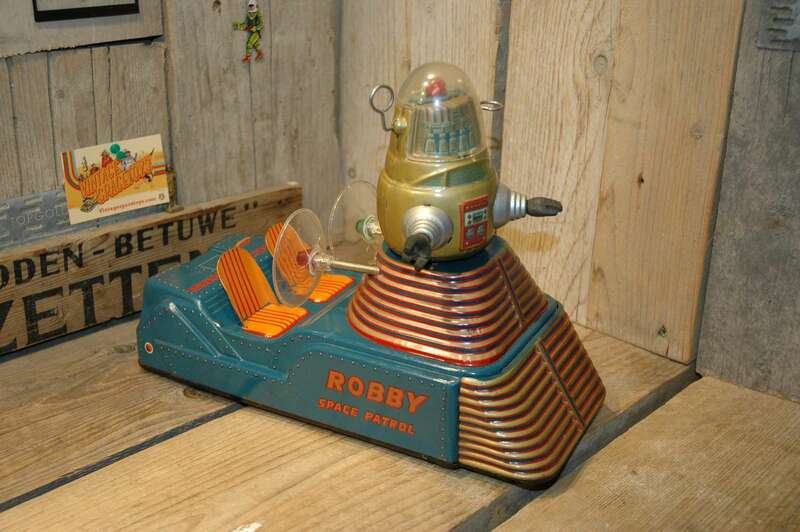 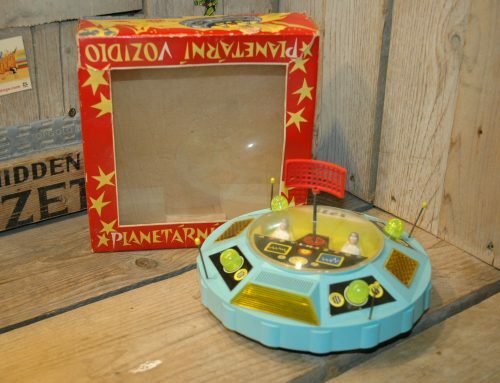 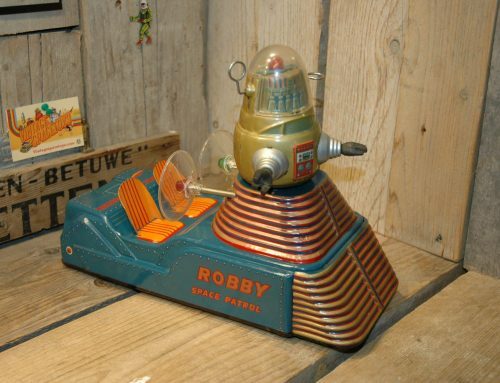 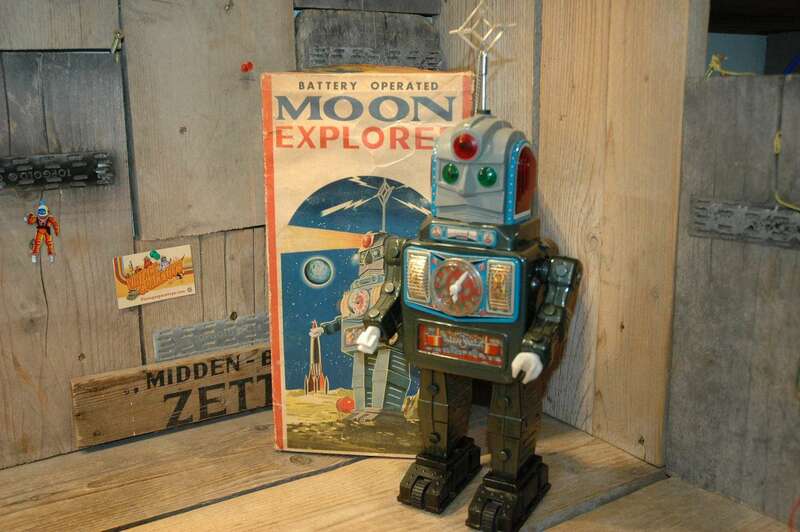 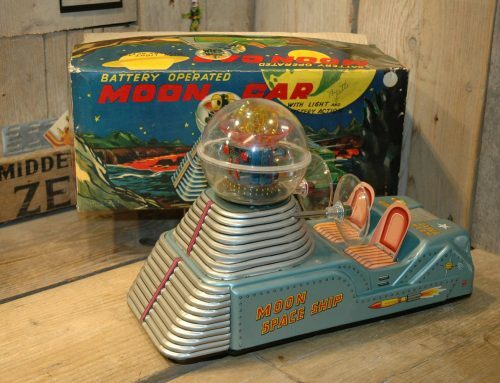 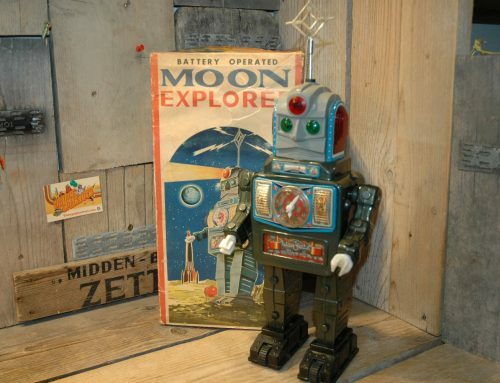 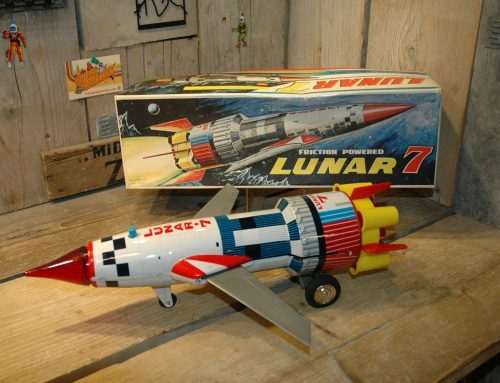 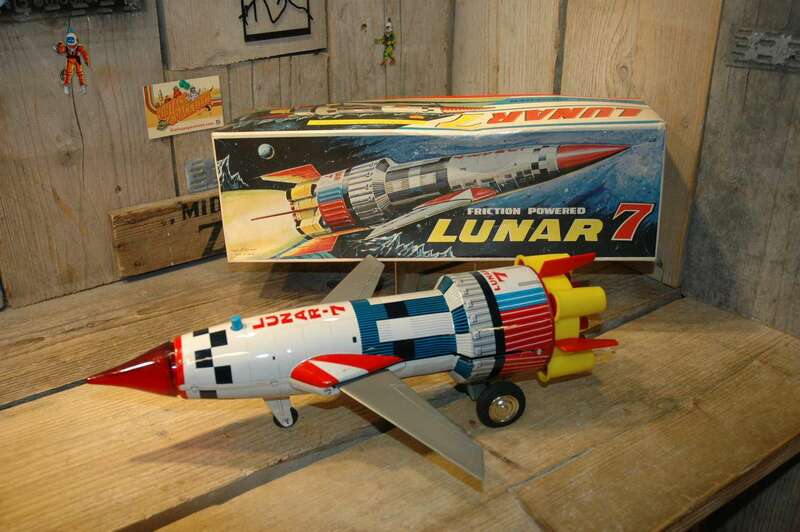 This is probably one of the best reproductions ever made from a tin toy robot. 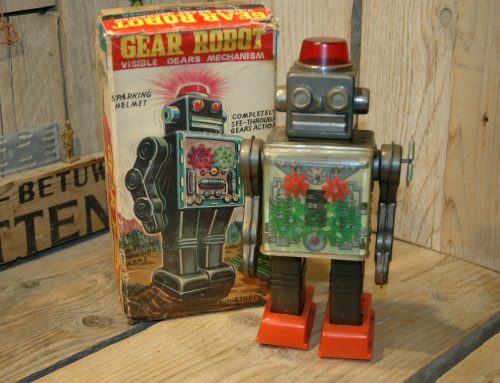 The look, feel, actions and even the box is there.. all just like the ones from the sixties. 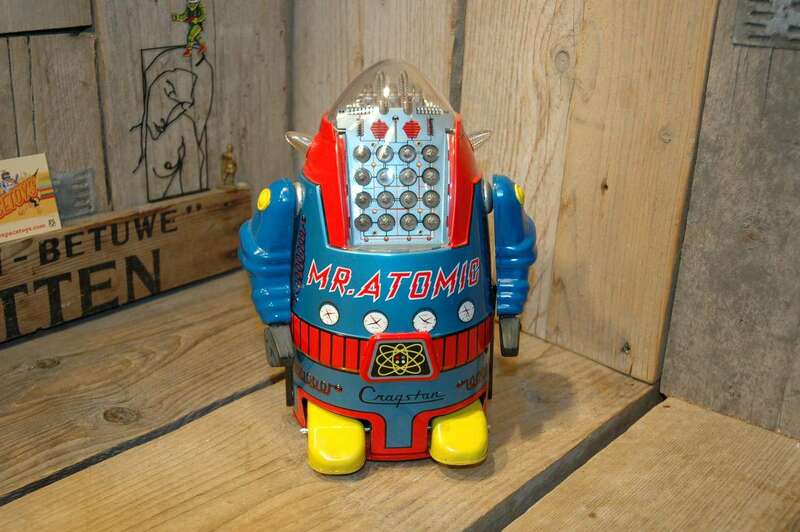 Because of the very limited run ( this one was made on the 1st of march 1994 ) MTH Mr Atomic Robots are again.. very hard to find these days. 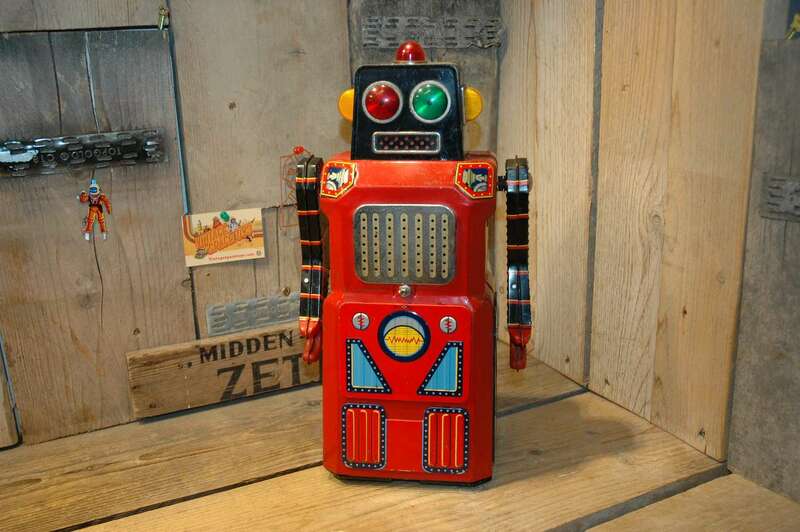 You are looking at number 309 of 500. 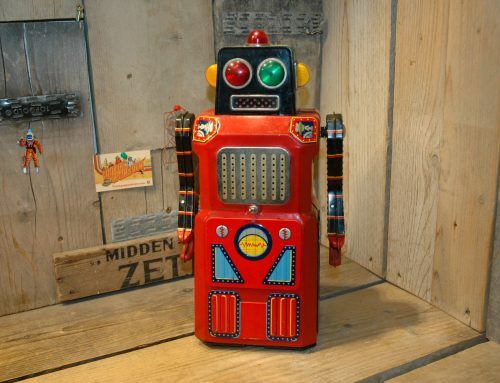 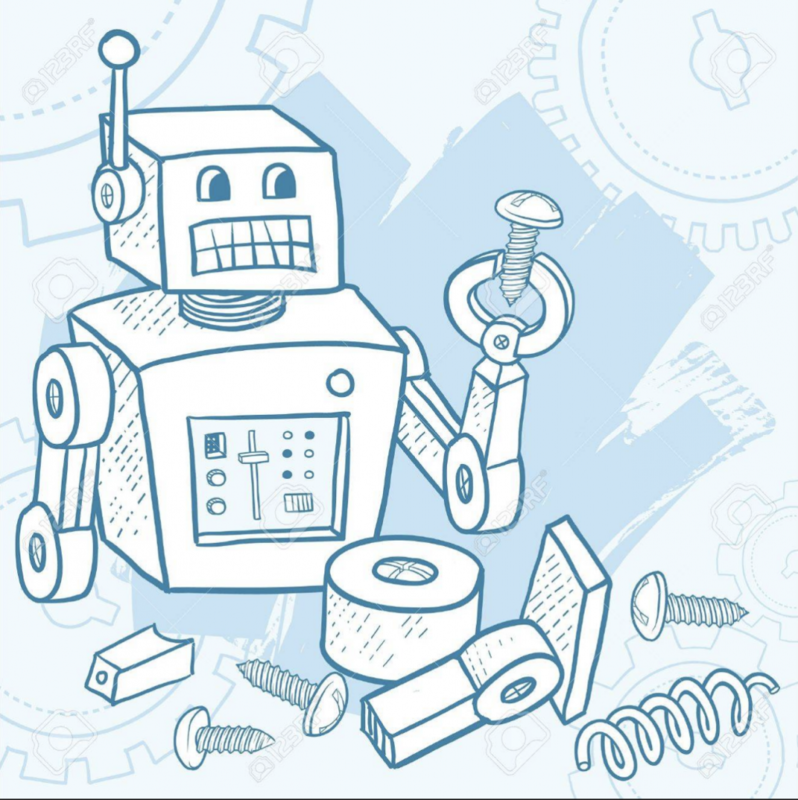 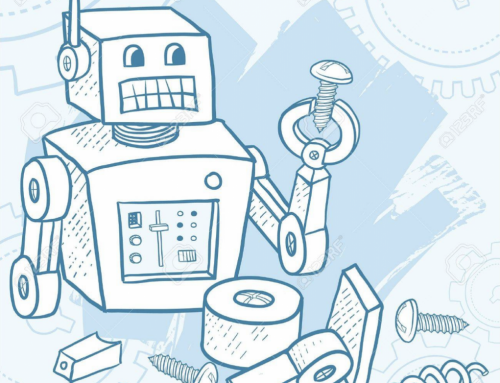 The robot is new, complete and in full working condition. 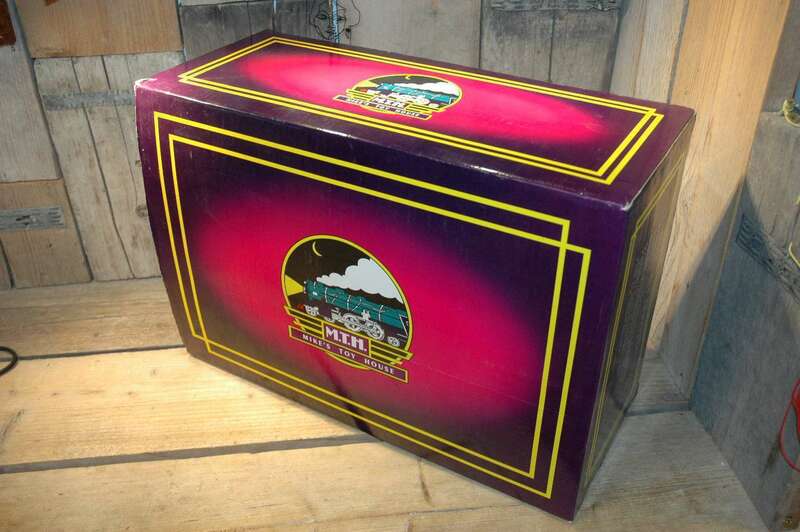 comes with box, papers and even the original outer box is there, all near mint to mint, never been played with before, no upgrade needed on this one !.